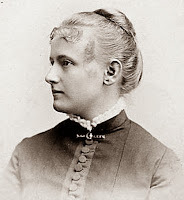 All Saints Day is celebrated today by adding seven new profiles to the LGBTQ Saints page at JesusInLove.org. The most popular new addition is Saint Sebastian, a third-century martyr who has been called history’s first gay icon and the patron saint of homosexuals. 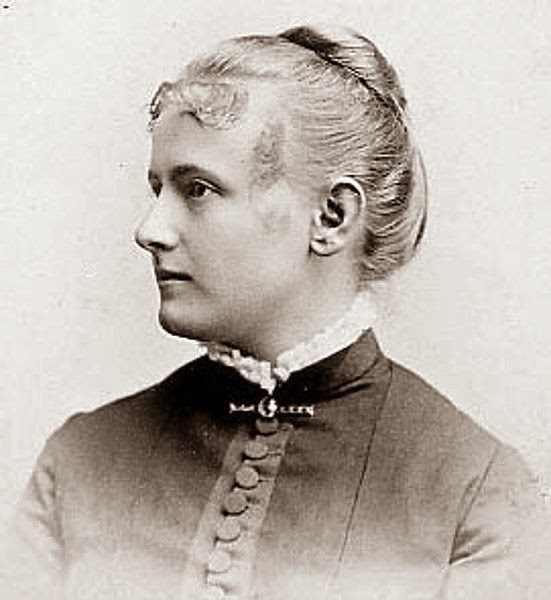 Other newcomers on the list include traditional saints Bernard of Clairvaux and the Black Madonna of Czestochowa as well as modern figures such as the founders of PFLAG, the martyrs of the 1973 Upstairs Lounge fire and Vida Dutton Scudder, a lesbian teacher and Episcopal saint born in 1871. Queer and LGBT saints are important because people are searching for alternative ways to lead loving lives. Churches have tried to control people by burying queer history. The LGBTQ saints show us not only their place in history, but also our own place -- because we are all saints who are meant to embody love. We can tap into the energy of our ancestors in faith. For some they become friends, helpers and miracle-workers. I created the LGBT Saints page to give people an easy way to find the spiritual resources that they seek. For more info, see my essay Why we need LGBT saints. In addition five profiles of saints (or paired saints) received major rewrites, including some long-time favorites at the Jesus in Love Blog: martyrs Sergius and Bacchus and Biblical heroes David and Jonathan. Almost every profile on the page has been updated and expanded in minor ways this year. Another breakthrough this year is bringing LGBT saints to Spanish readers. 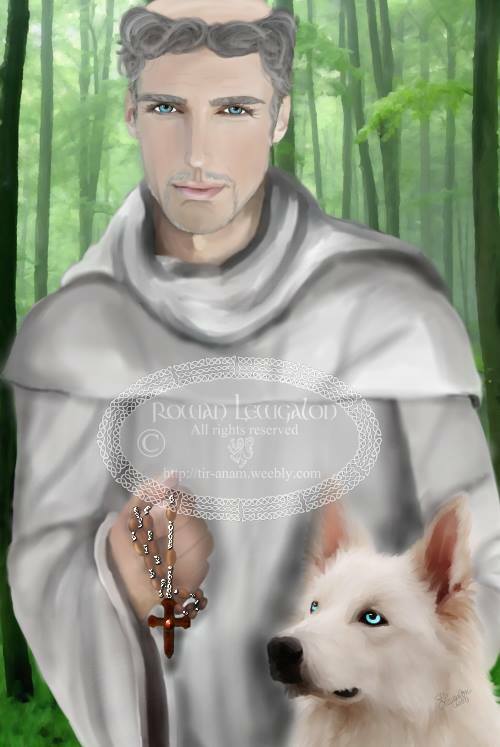 Profiles of traditional LGBT saints are translated into Spanish at the new Santos Queer Blog. Some even attracted more readers than the original English versions. 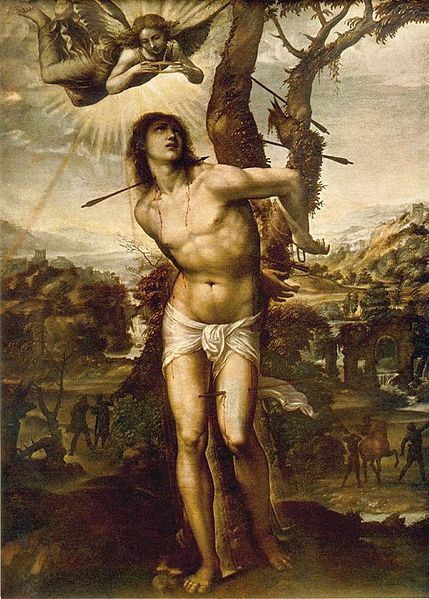 Saint Sebastian was the most popular saint at Santos Queer. With these new saints, the LGBT Saints page has grown to 62 profiles. They include 34 traditional Christian and 28 alternative figures. Along with official saints, there are martyrs, mystics, prophets, witnesses, heroes, holy people, humanitarians, deities and religious figures of special interest to LGBTQ people and our allies. Here is a list of new saints who are welcomed to the LGBT Saints page today. This article is illustrated with the Altar Cross of LGBTQ Martyrs. It was constructed by a congregant at Metropolitan Community Church of San Franscico for All Saints Day (All Hallows) worship services there. 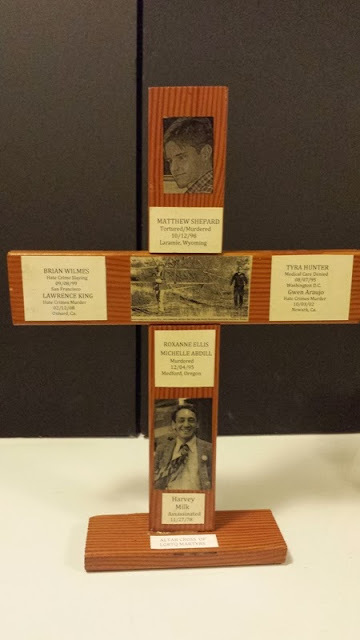 The cross features newspaper photos of Matthew Shepard and Harvey Milk. In the center of the cross is the fence where Shepard was tortured and murdered in Laramie, Wyoming. He died on 10/12/88. Lawrence King – Hate Crimes Murder 02/12/08 in Oxnard, Ca. Tyra Hunter – Medical Care Denied – 08/07/95 in Washington D.C.
Gwen Araujo – Hate Crimes Murder – 10/03/02 in Newark, Calif. Thank you to Lynn Jordan for the photo and information about the Altar Cross of LGBTQ Martyrs. Let us be inspired by the LGBT saints who surround us as a “great cloud of witnesses.” May we commit ourselves to our own queer spiritual journeys.